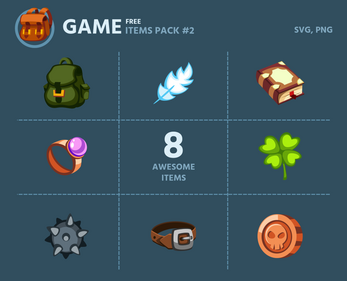 Free Game Items Pack #2 contains 8 elements: backpack, feather, book, ring, clover, bomb, belt and a coin. P.S. Please, leave a review if you like this pack :) Thank you!